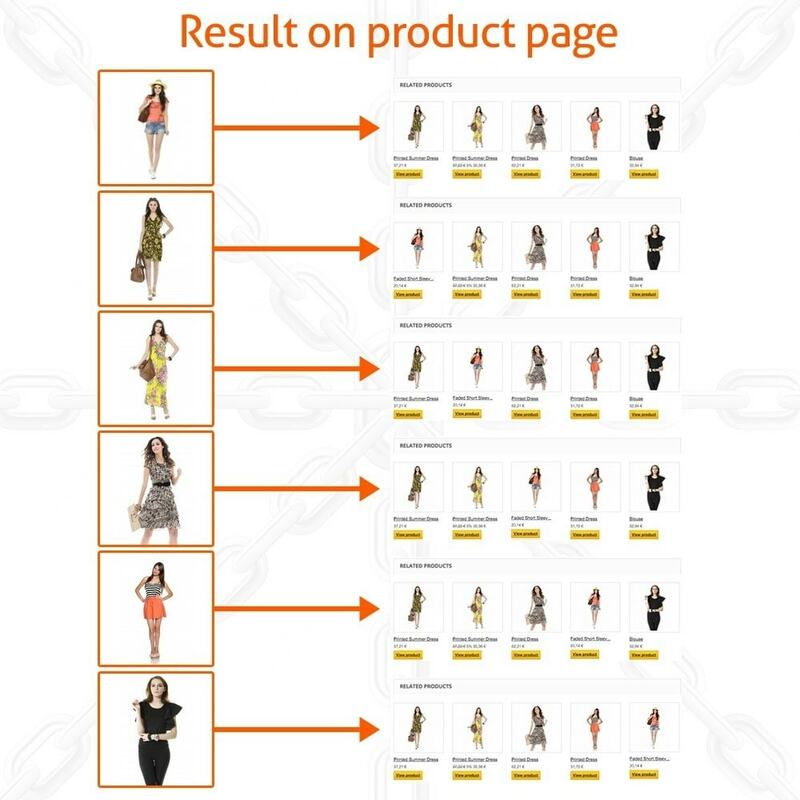 This easy to use module, is the best tool to generate groups of related products and show them inside the product page of your store. If you want suggest to your customers others products to buy, Fast and Easy Related Products is your module. 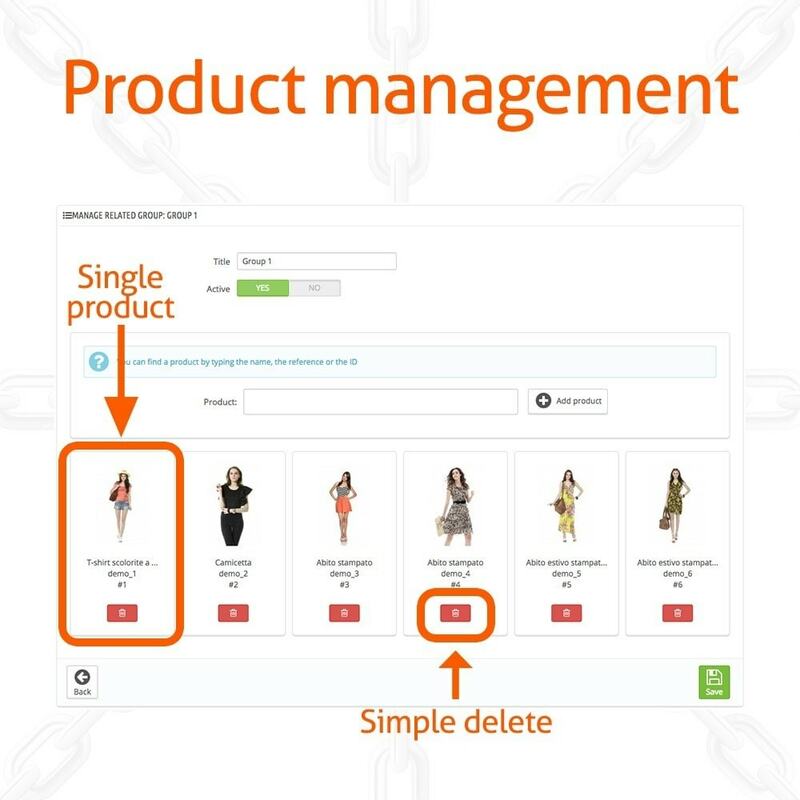 Now you can create groups of related products and increase your sales by increasing the cross-selling. 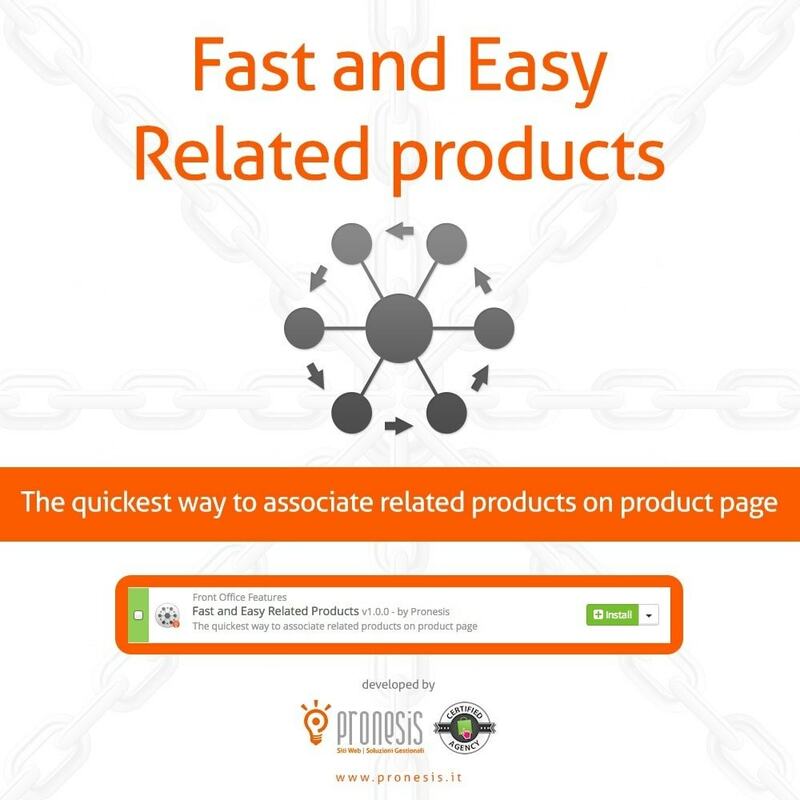 In a click you can create as many groups as you want of related products. The same product can be in different groups but don't worry, it will be shown in the product page only one time. 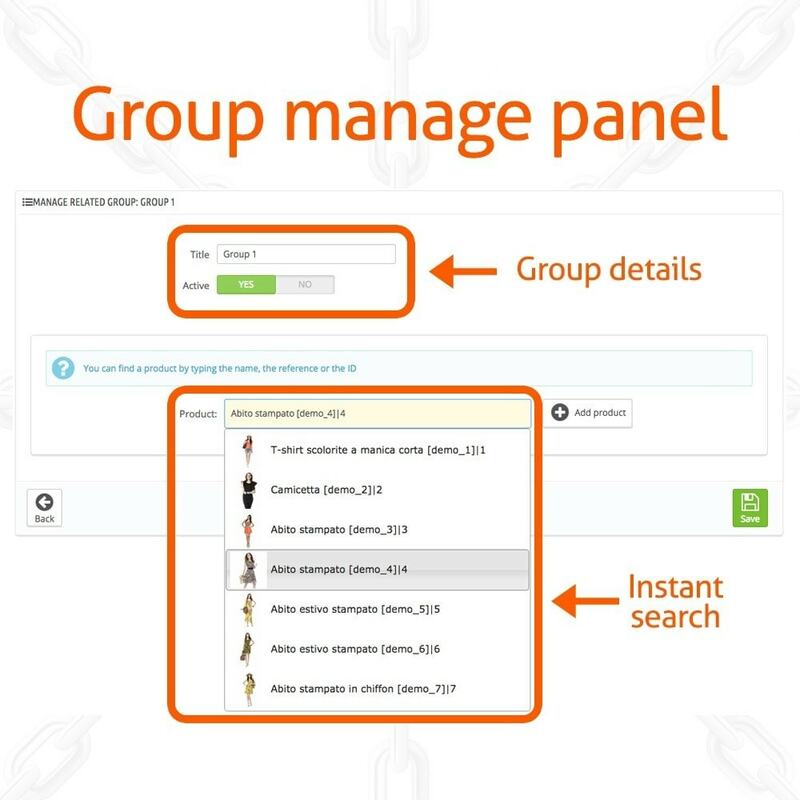 The related groups are displayed in the bottom of the product page. 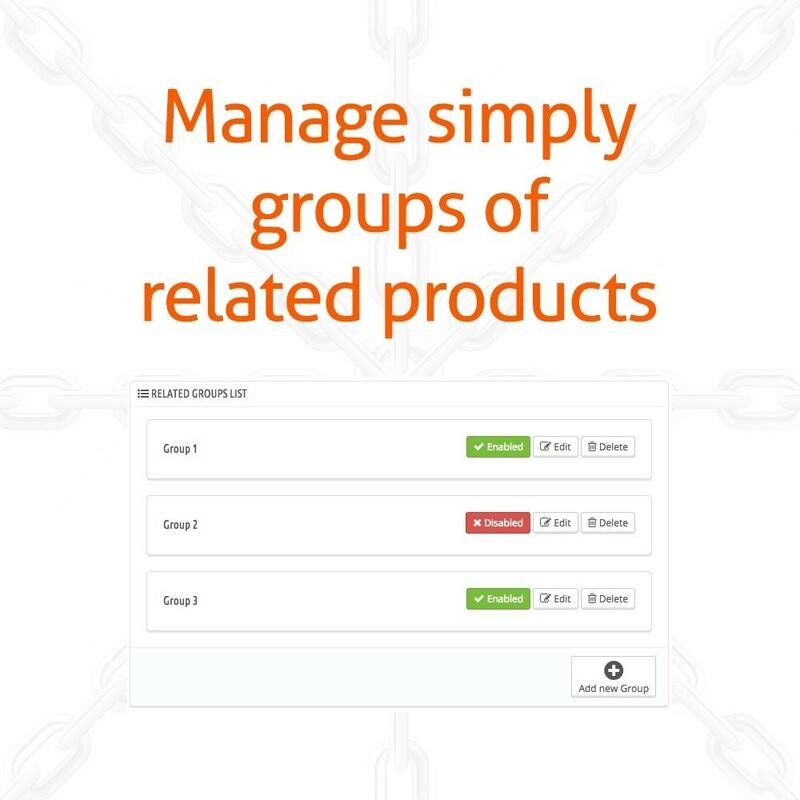 When the product is in different groups, all others products of the same groups are shown.